It’s inevitable, but the first weekend selection of this year makes us feel a lot. These collection of singles vary so much in genre, but like always, there’s one theme ringing through: heartfelt narratives. Up and comer Joe Russell–Brown shares “Post-Youth Depression” from his debut EP. These sound waves venture through “a cheap microphone and laptop in his grandma’s bungalow, capturing his transition from acoustic songwriting to dream-pop band leader.” They’ve got it right when it’s described as lo-fi, yet anthemic. We’re tapping our shoes while holding our ears close. Notable Portland, Oregon act Little Star builds a devoted cult audience, a phenomenon easy to explain through their latest release “Providence”. Unconventional pop melodies meet dreary territory-focused alternative in this single we can’t stop playing over and over again. WIBG, previously known as Wooden Indian Burial Ground, have us holding onto every new blast of shimmering psych rock that we can get ahold of. “Turned On & Terrified” features their iconic basslines, shrieks and instrumental explosions. LA-based indie pop Young Creatures reveal “Slow”, an eerie and wailing release full of harmonic vocals and charming guitar counterparts. UK artist BelAir gave us exactly what we wanted with “All I’ve Learned is to Be the Fool”: an effortless electro-pop single best consumed while wearing pastels in a brightly lit room. “I don’t know if running is a good idea – we might be caught this time – no more living in fear” is one hell of a way to introduce yourself, and that’s how Arson Daily chose for this to be. “Dead in My Tracks” narrates a fictitious story of notorious outlaw bandits who have been on the run. French musician and producer NASAYA drops “Snow” via Majestic Casual. The single creates a melancholic atmosphere, with lyrics narrating a feeling of nostalgia. Myra, also featured in the single states, “they are about being in a relationship and hiding things from each other, which inevitably leads to hurting each other wishing you could take back all your mistakes”. Emerging artist Dan Caplen shares “Two Fingers”. The Brixton-based, classically trained musician shares his perception of relationships in a big city and wins us over with this danceable r&b jam. Jasmin “Jazzo” Walters “Borders” shines through her minimalist approach with sound. “Borders” creates space and heightened sensuality through rhythmic-jazz in the best way. 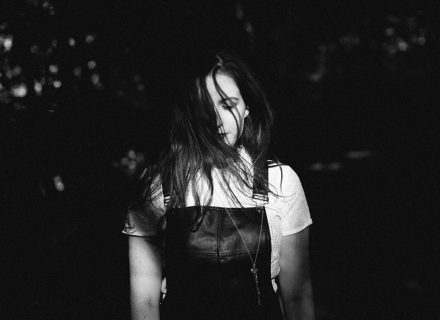 CLANN is a collaboration between producer, artist, filmmaker and composer Sebastian McKinnon, singer Charlotte Loseth (whose solo project is Sea Oleena) and French violinist Chloe Picard. “Closer” is the lead single from their album Seelie, and has definitely drawn us into their world. Perth, Australian duo Telete release “Basketball Boy”, a proper announcement to reintroduce everyone to the chamber-pop/synth-gaze genre. Dublin musician Alan Maguire shares his dark and brooding single, “Anesthetic”. Reverberating introductions lead into dark narrative that will have darkwave fans shaking wildly over this discovery.